It’s often hard to create a vision and imagine the layouts when planning the design and styling of your home. It can be difficult to know if your furniture works well with the colour of your cushions, and if the decor objects you like match your accessories in the room. Often our clients have a few ideas of what they like, but have no idea where to start! 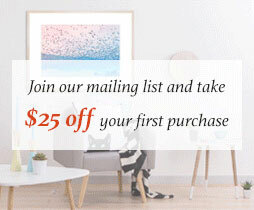 Many interior stylists start with art. 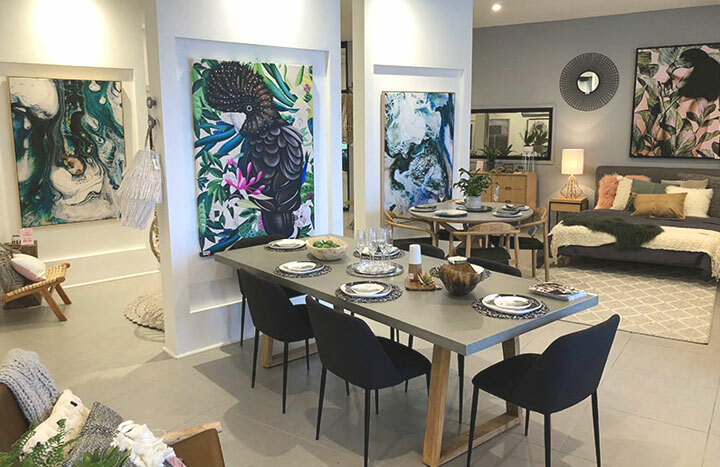 The theme, colour palette and mood is often derived from the artwork, and for most designers it is always their first point of reference for all their furniture and accessories. 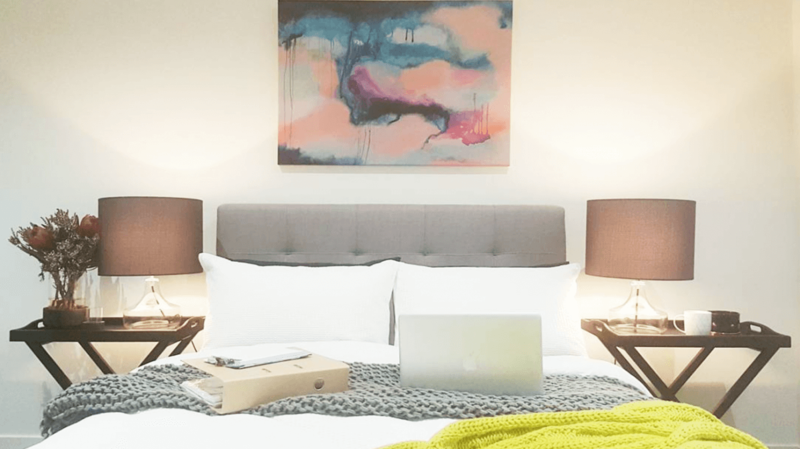 Art can help set the pace and create a feeling in the home. A useful tool professional property stylists and interior designers use is a mood board! 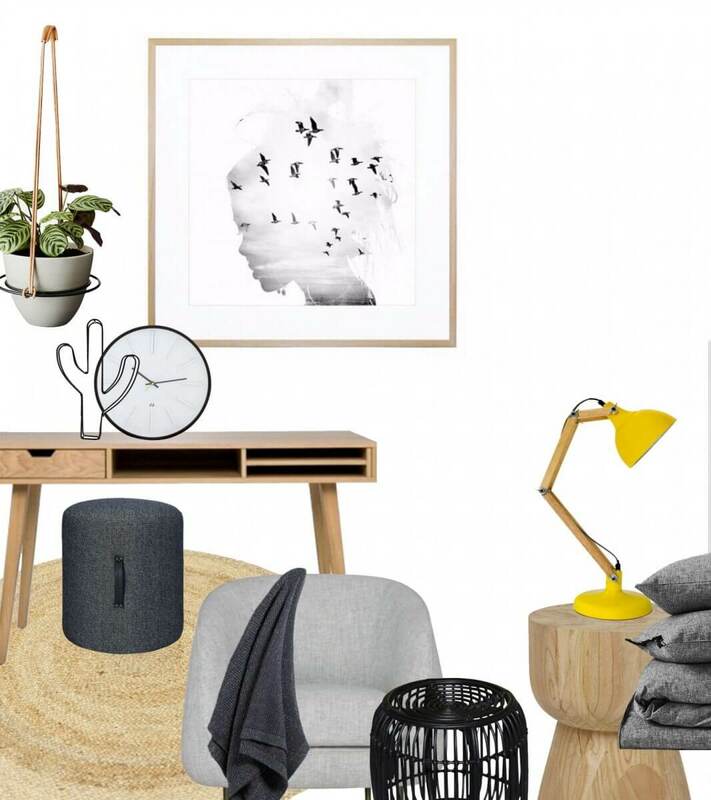 You can create basic mood boards on your computer (or even try a traditional cut and paste paper approach using magazines and catalogues) to get a clearer picture of what items match together, and what decorative elements you need to add in, or pull back. You can start to get creative and plan the overall layout of where everything should go in the room! This is a great creative communicational tool and helps clients determine if the ‘overall look’ is on-brief. We were thrilled to be included in these gorgeous mood boards designed by property stylist and interior designer Pelin Testecili. 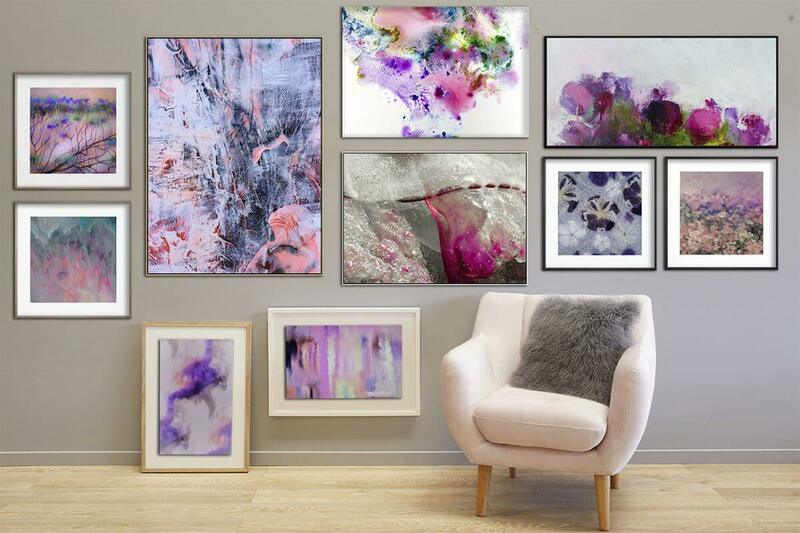 She has created 5 very unique and very different moods and styles inspired by artwork from the United Interiors online store. 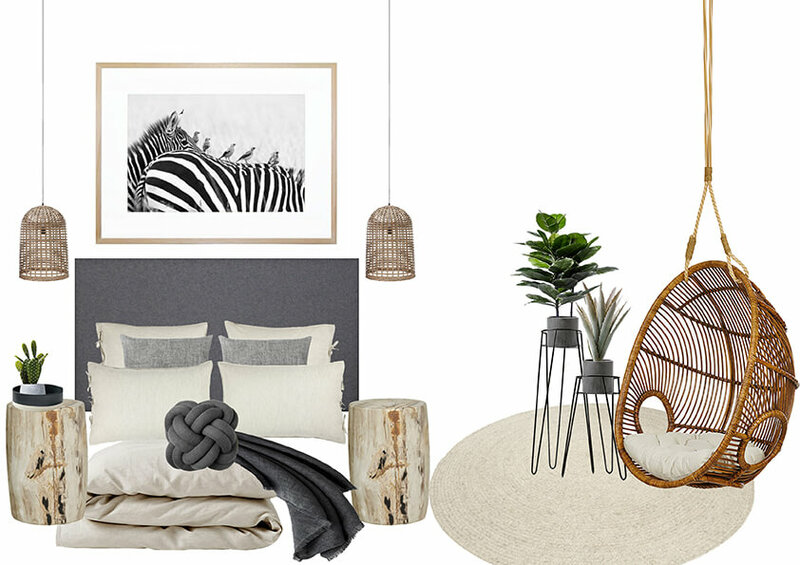 Using a palette of neutral, natural and textural objects, this mood board creates a tranquil bedroom setting perfect for those wanting a nature-element in their home. Artwork: ‘In Order’ framed print, available here. Dress up a space in an instant using jewel tones such as emerald, rose and gold. These three shades work perfectly together to create an interesting colour palette that injects a pop of colour to your room without overpowering the furniture pieces. Artwork: ‘Brun’ canvas print, available here. Pink isn’t exclusively a shade for children’s bedrooms! By choosing the perfect blush shade and contrasting it with a monochromatic black & white base and masculine furniture and details, it can be a beautiful colour to incorporate in your home. Artwork: ‘Summit Peak’ hand painting, available here. We all love the Scandi style blonde wood and grey combo! Add a splash of personality with a pop of colour and quirky accessories for an eclectic yet pared back aesthetic. Keep the artwork minimal for a uniform look. Artwork: ‘Thoughts Keep Running’ framed print, available here. 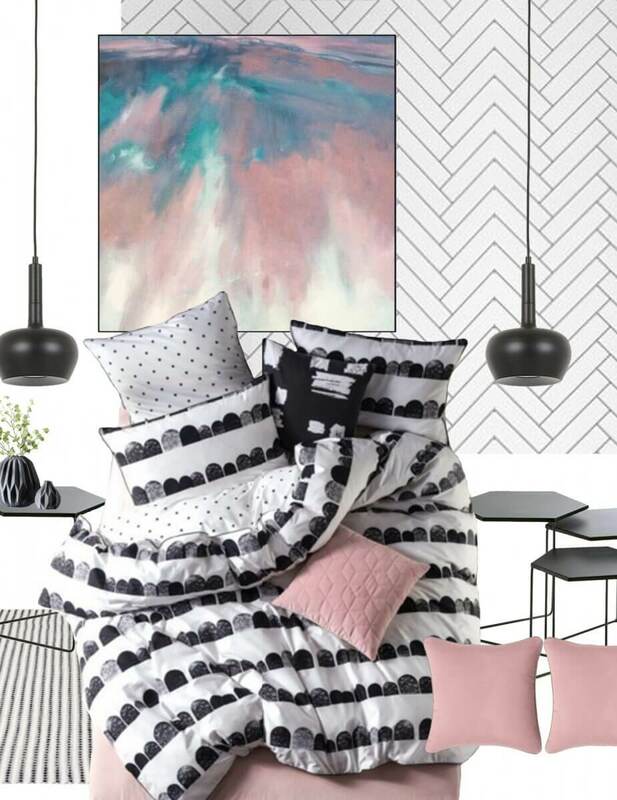 Ink, grey & blush are the perfect trio when it comes to winning colour combinations. 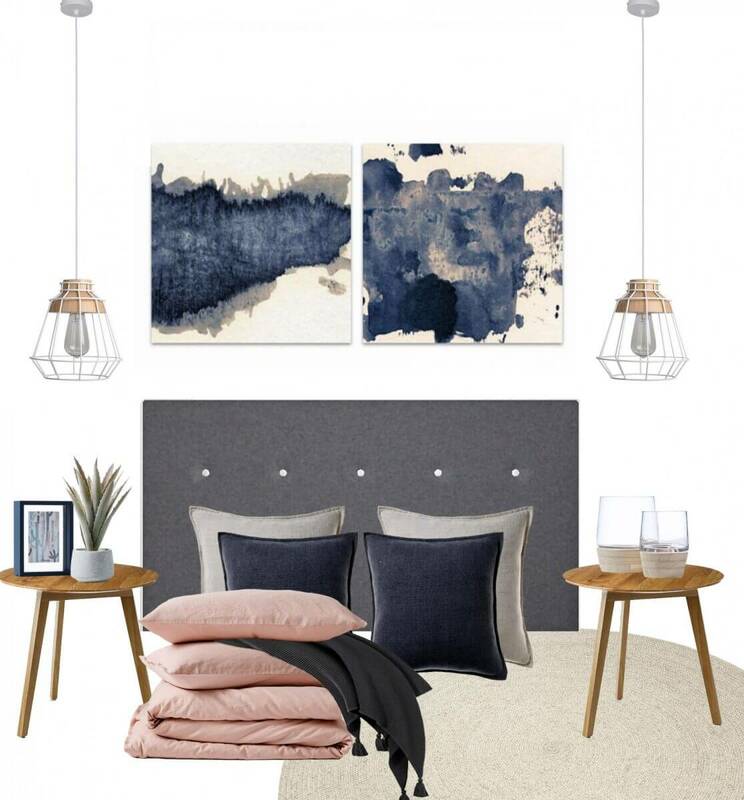 This palette creates a relaxing mood in the room and is an easy way to compliment the watercolour-esque artwork choice. Artwork: ‘Granulated Blue & Moving Through’ perfect pairs canvas prints, available here. 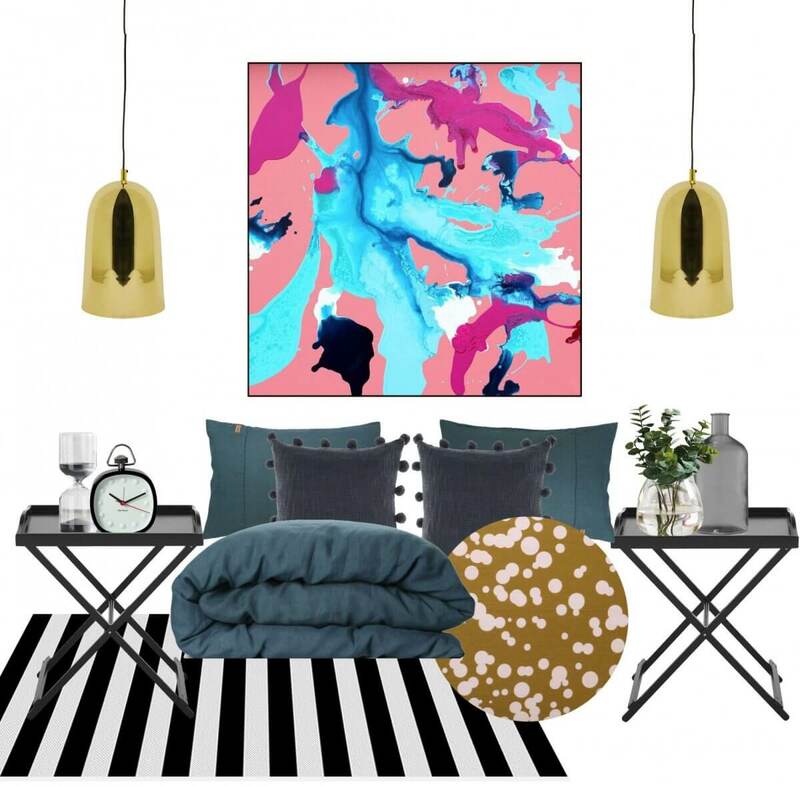 All mood boards created by property stylist and interior designer Pelin Testecili. Follow her Instagram here. 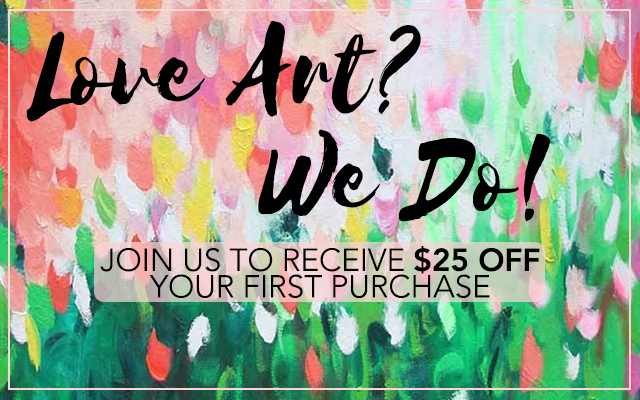 Shop more artwork online here.